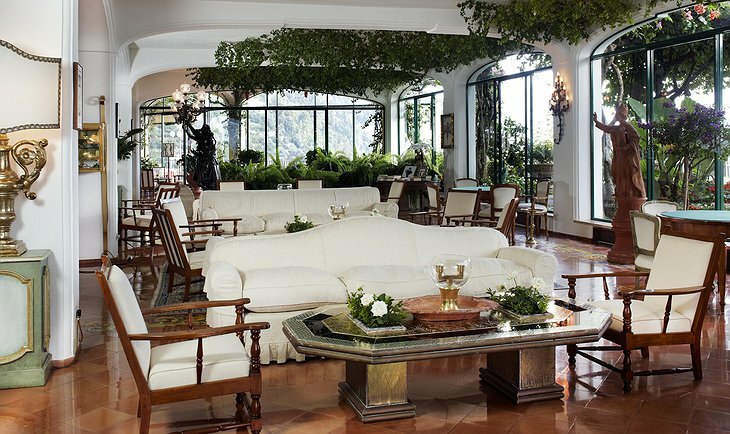 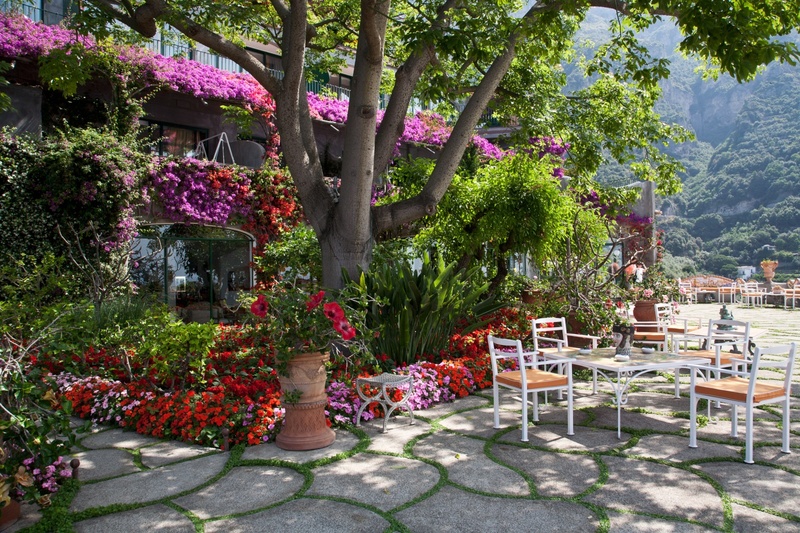 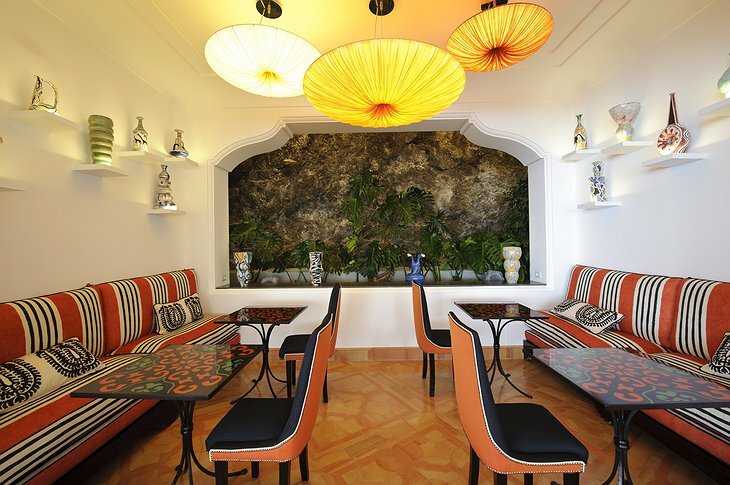 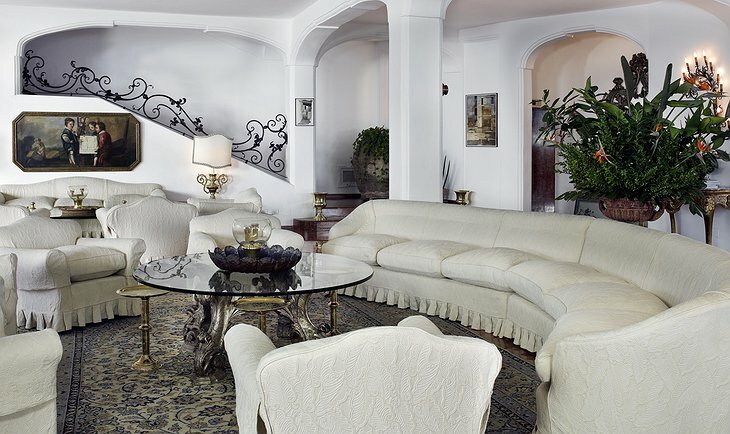 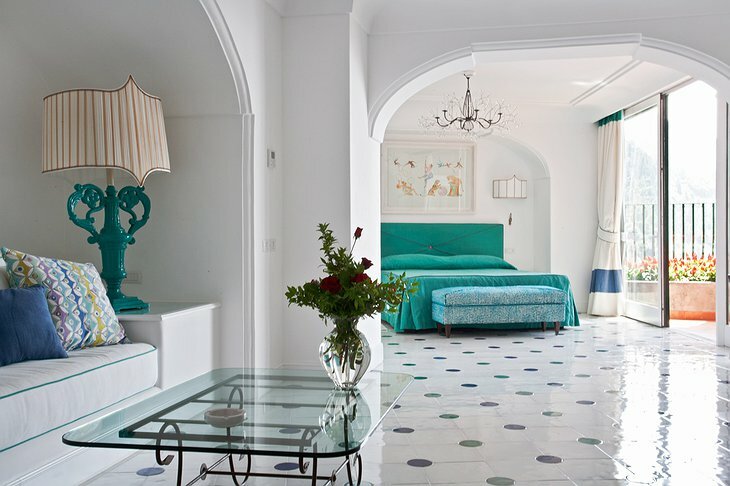 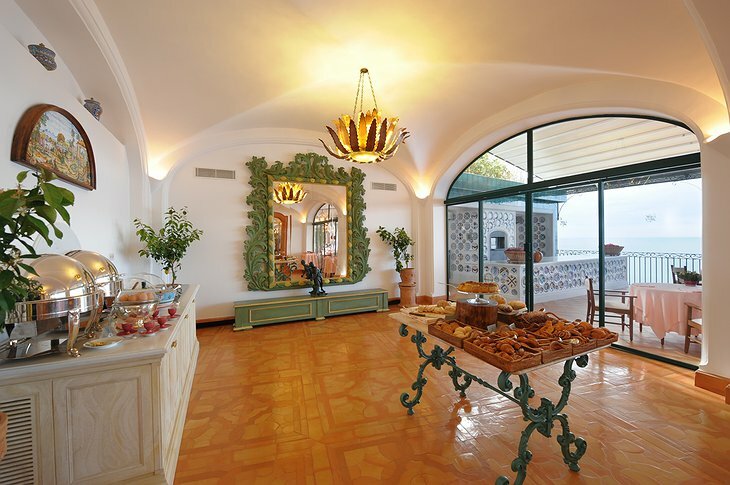 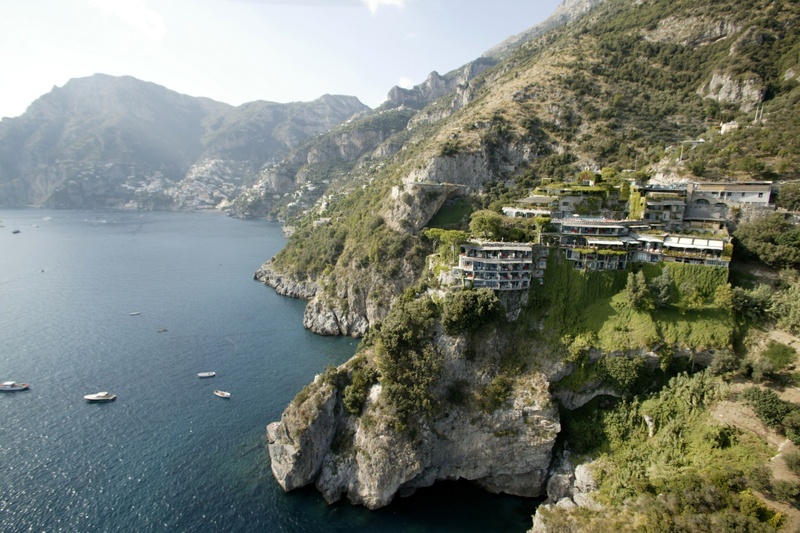 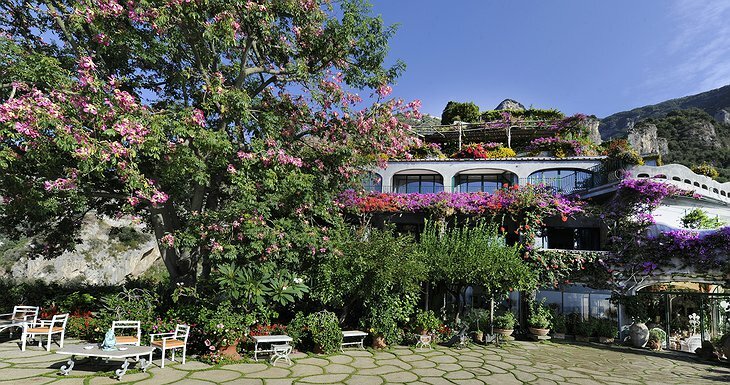 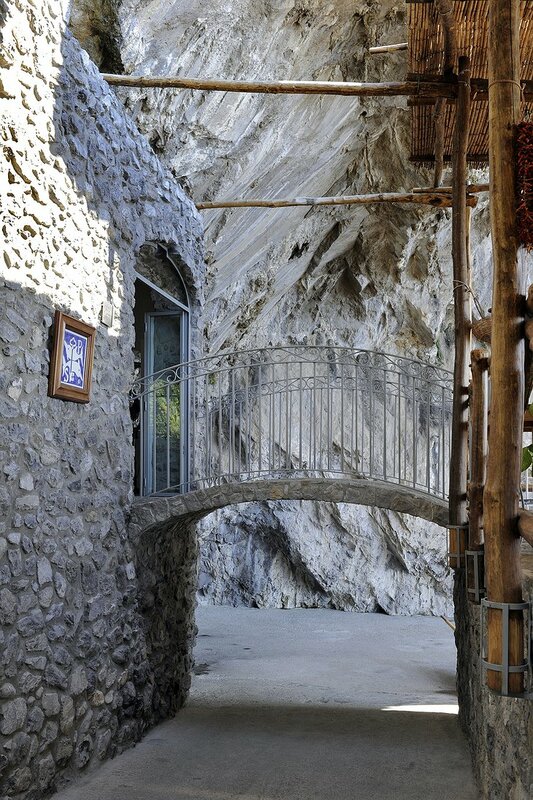 This hotel is hewn out of the very living rock on the Amalfi coastline. Want to go to the beach? 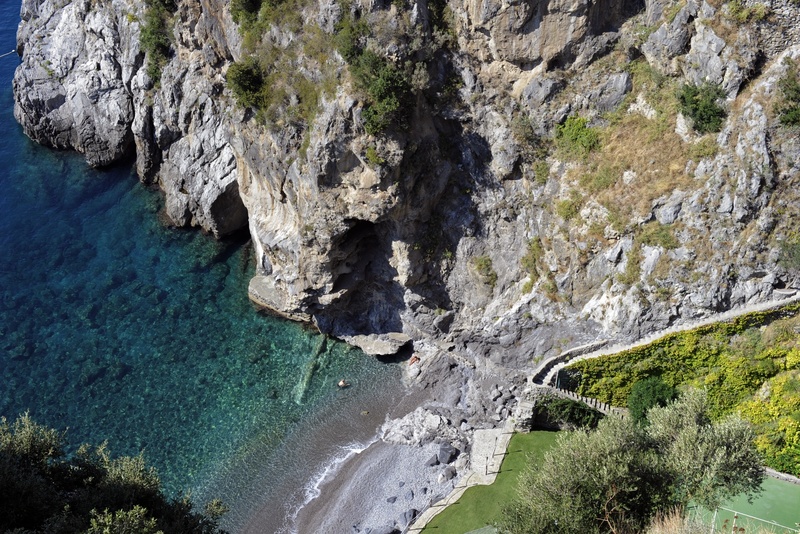 Then take the lift through the rock to the sand below. 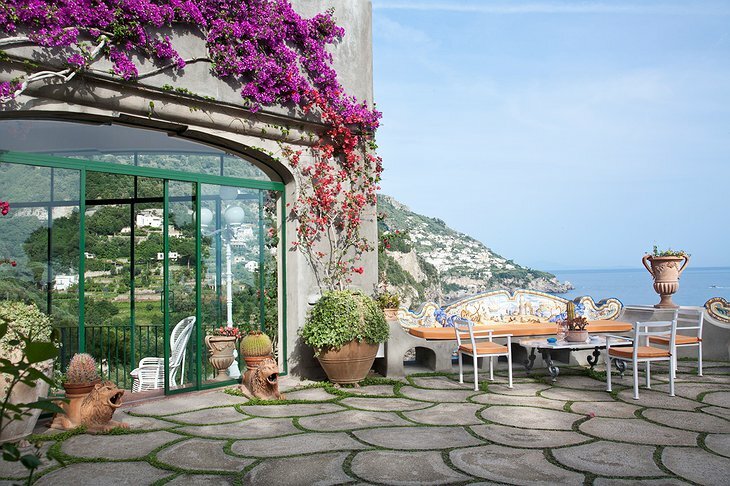 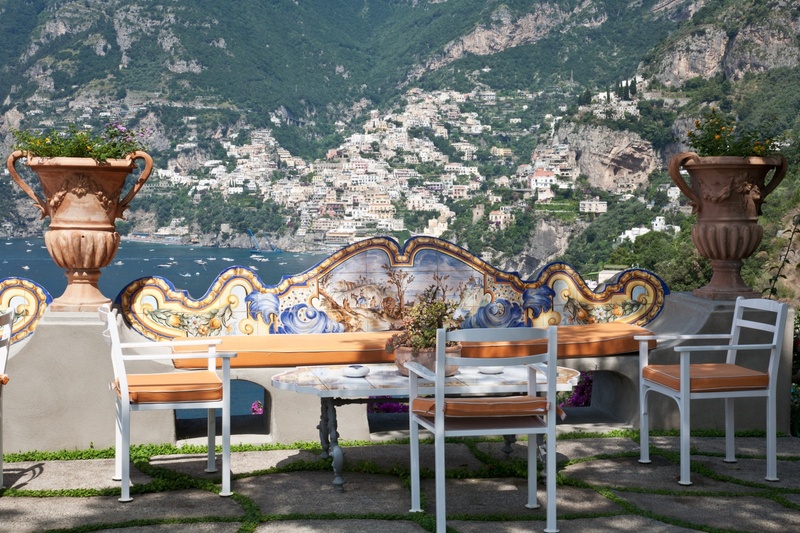 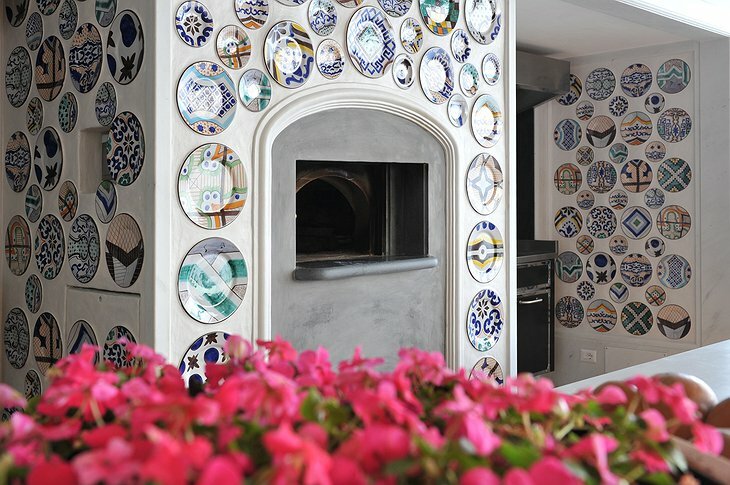 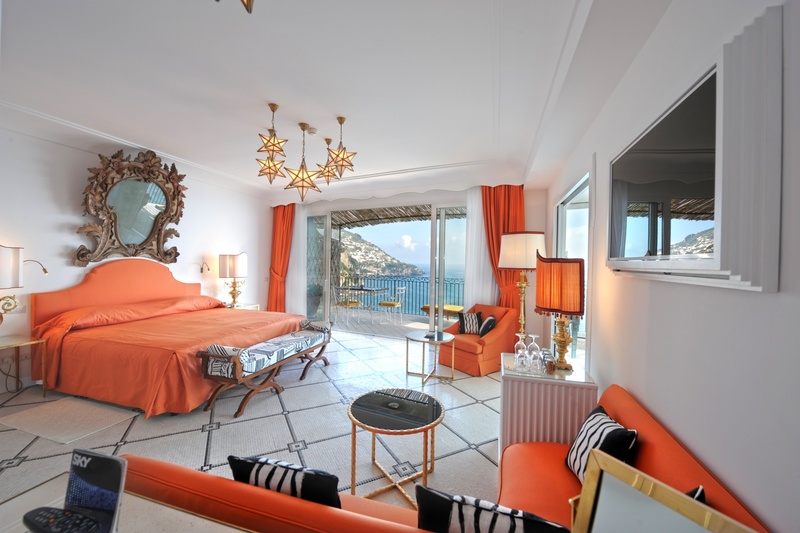 Your vine-hugged balcony has some of the finest views you will ever see - from the sea to Positano. Amid the colourful gardens you will find a tennis court, swimming pool and two restaurants. 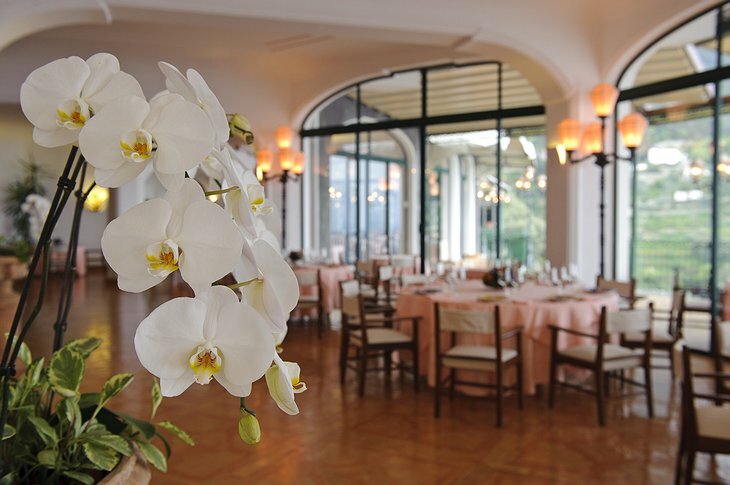 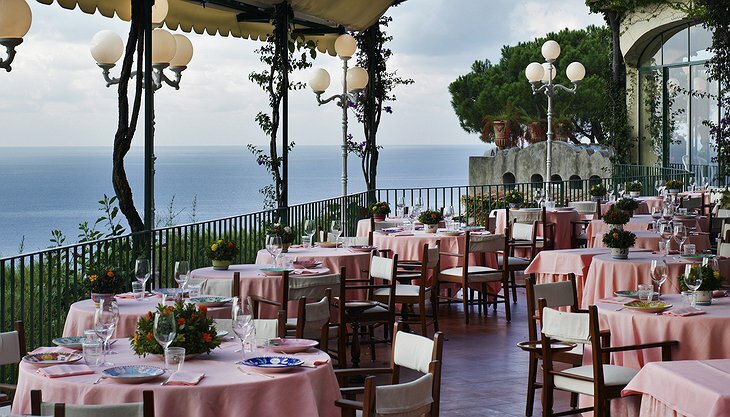 The Michelin starred, Il San Pietro Restaurant has an amazing terrace so you can dine with a panoramic view of the sunset. 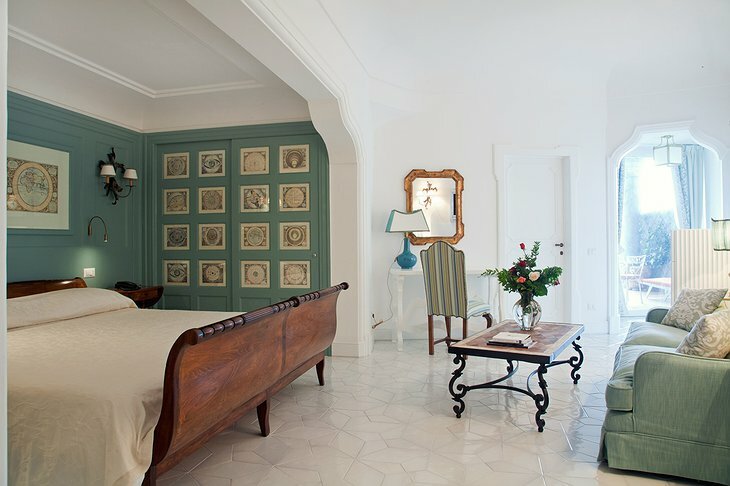 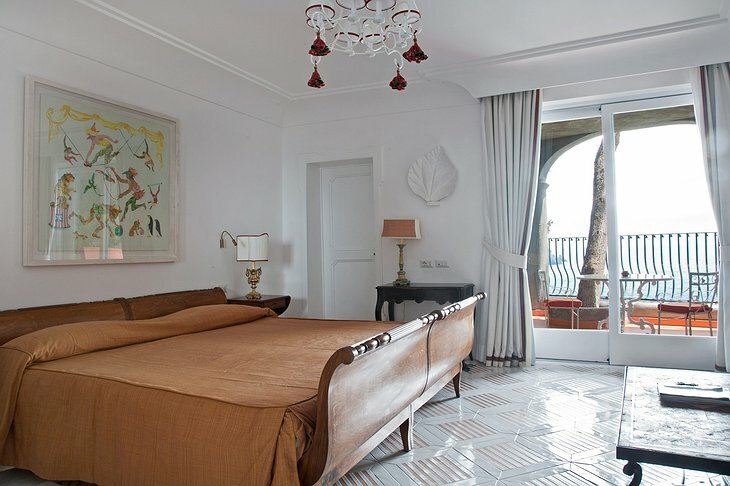 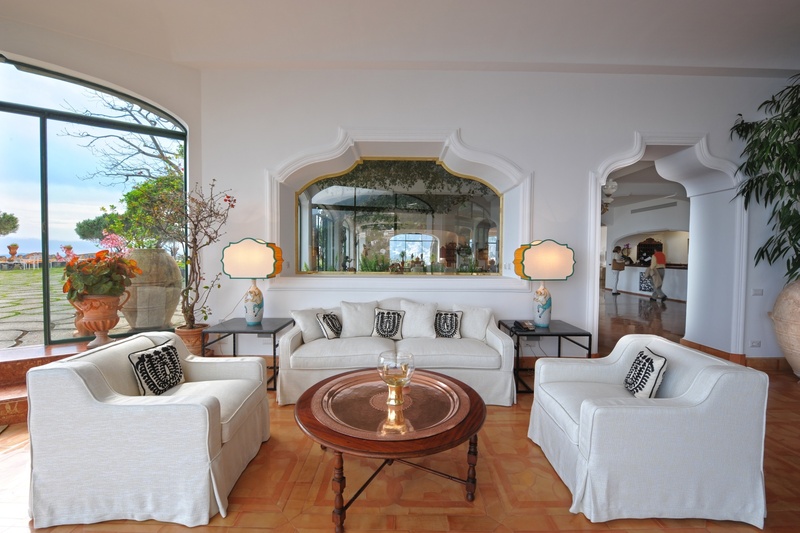 Your room is air-conditioned with antique furniture, entertainment centre and terrace overlooking the sea. 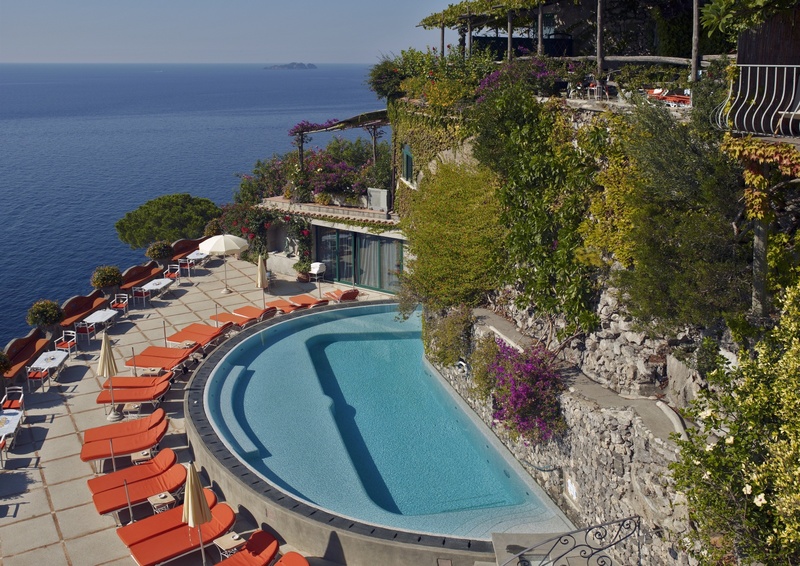 The fitness centre has all the latest equipment while the spa has a range of treatments and a sunbathing platform. In the day, you can take a complimentary excursion by boat to find out more about this historic area. 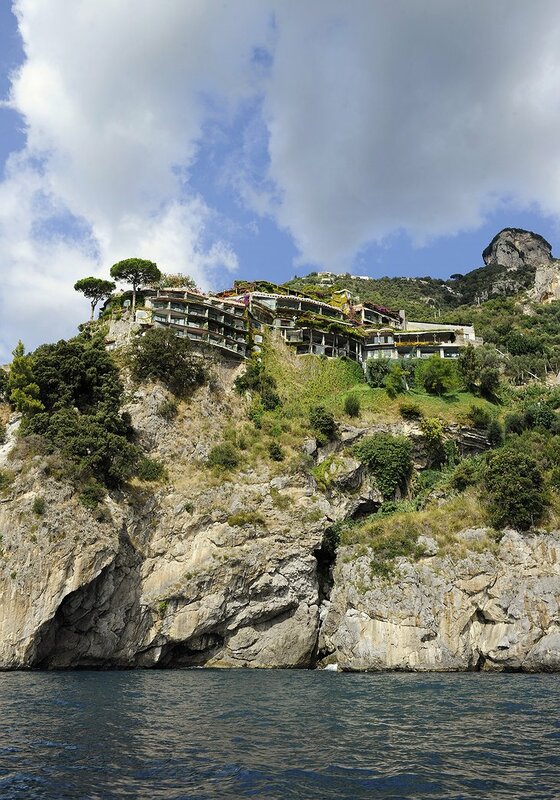 Or you can charter the private boat to take you anywhere up the coast and the Gulf of Naples in luxurious privacy.